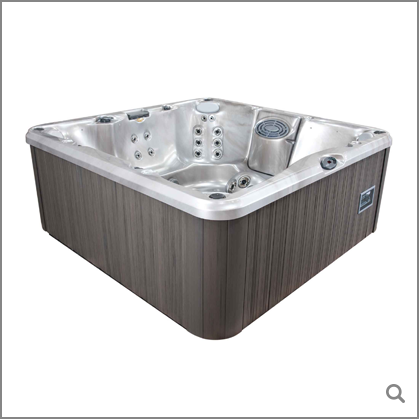 The J-280™ proves that affordable hot tubs can give you everything you want in a spa. It has features you might find surprisingly upscale, including jets and classic stainless-steel jet faces. Energy-saving LED lighting illuminates the waterfall, foot well and the interior perimeter to provide colour and enhanced safety. 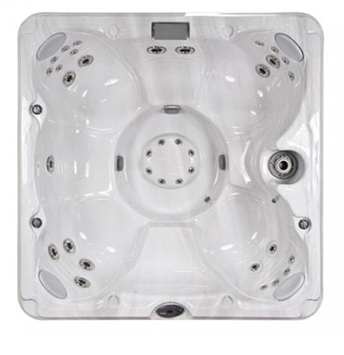 Opt for the factory-installed BLUEWAVE® Spa Stereo System with BLUETOOTH® Audio, and you have an affordable hot tub that is entertaining, comfortable and easy care. 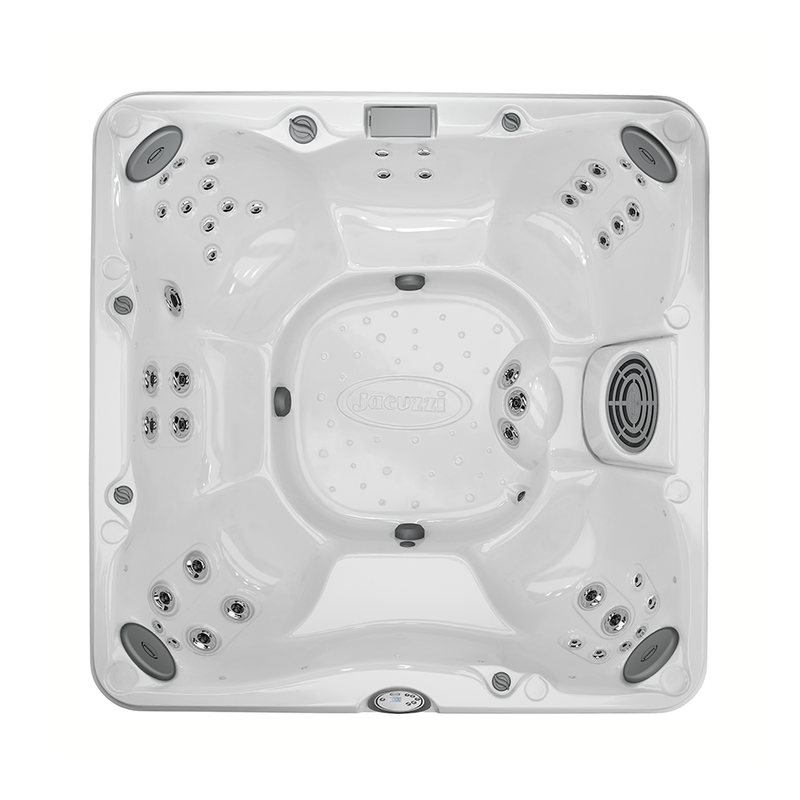 Standard equipped with 44 Jacuzzi® jets with six variations in a spacious design, this hot tub can accommodate up to seven adults. But what makes the J-280™ stand out is its wealth of optional features. 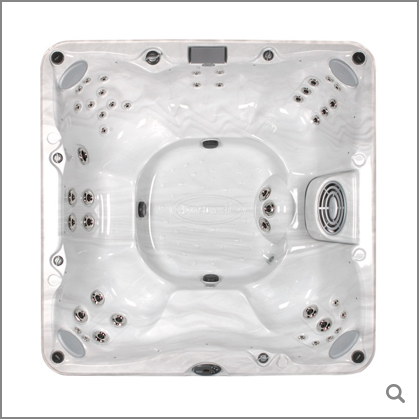 The marine-grade stereo system in this Jacuzzi® hot tub lets you listen to music without worrying about water damage. If you opt for the LED lighting kit, you can enhance the built-in waterfall, footwell and interior perimeter to create a sensual ambience that is both bright and beautiful. Optional stainless steel jet covers can add a touch of sophistication to the J-280IP™. 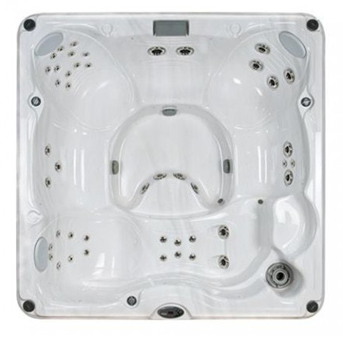 The standard equipped components in this luxurious hot tub include five cup holders and four head rest pillows, as well as an intuitive and easy to use digital LED control panel. 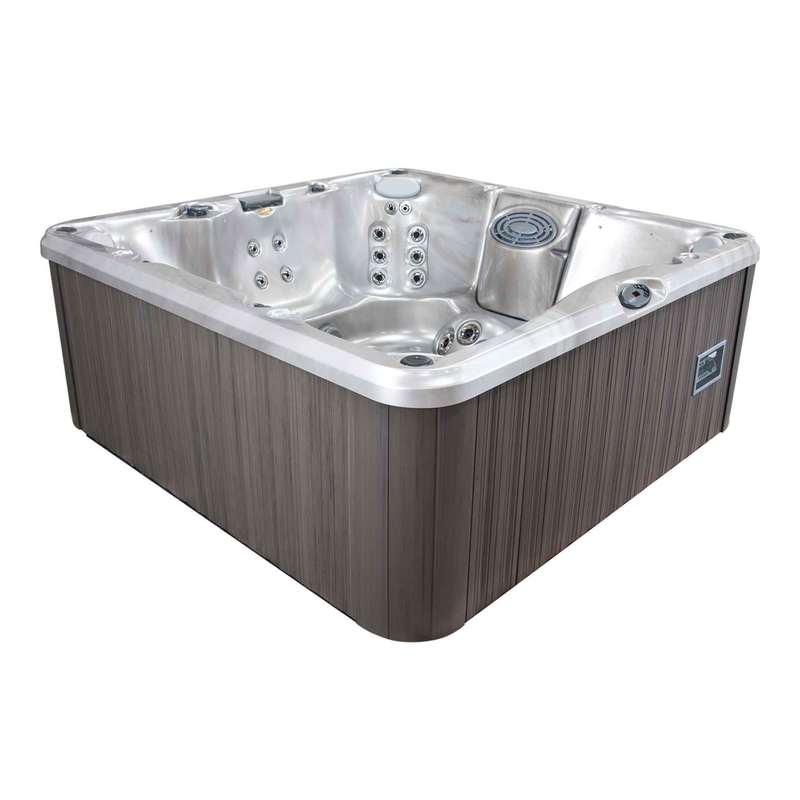 The J-280™ comes in a multitude of textures and finishes; either the Jacuzzi® TriFusion™ System acrylic shell or the new ProEndure UV resistant cabinetry. 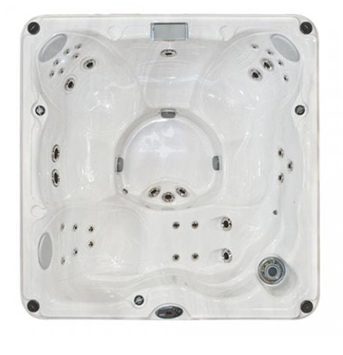 The J-280™ easily sets the standard for affordable hot tubs, and the moment you sink into one you’ll know why.